American entertainer David Strassman continues to single-handedly revive and redefine the ancient art of ventriloquism for the 21st century with this hilarious mind-bending psychodrama which might have been written by Charlie Being John Malkovich Kaufman. In the past, Strassman’s innovations have been physical in form courtesy of his patented Puppetronics system, developed with the help of a pal at NASA, and dramatic in terms of the character development of his main puppet, Chuck, a malignant and foulmouthed 13-year-old boy who, in Strassman’s celebrated show in 2000, sold his soul to the devil and became a real child. 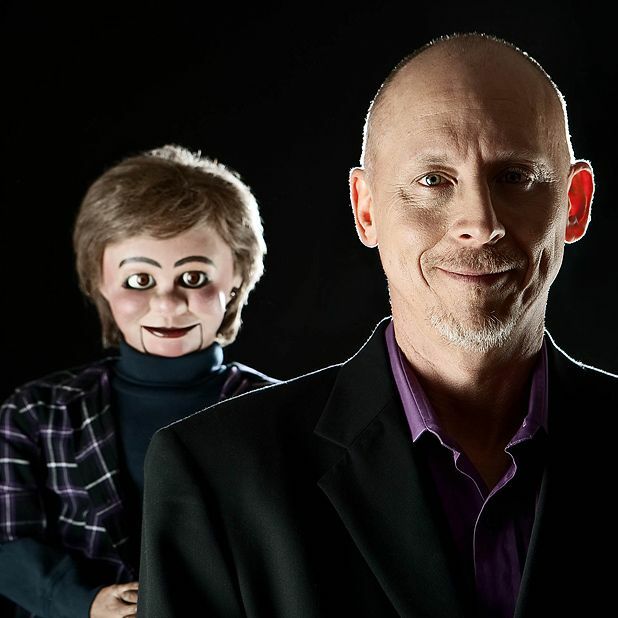 The world premiere of Duality takes Strassman’s innovations in ventriloquism to a whole new level of complexity by exploring the psychological motivations of the ventriloquist and the relationship between the puppeteer and the puppet. If you thought that was fairly straightforward, this show, which quite brilliantly reveals ever deeper and more disturbingly humorous layers of meaning while consistently wrong-footing the audience, may blow your mind. It takes place in the waiting room of a psychiatrist’s office, where Strassman’s puppeteer – and Chuck – are anticipating the late but imminent arrival of the shrink. Initially, man and puppet argue like husband and wife in need of marriage counselling. Subsequently, the line between clever postmodernist routine and a genuinely disturbed mind becomes increasingly blurred as the man appears to lose control of his wooden creation. And then the show descends into metaphysical insanity concerning the notion of the inner self. The writing is truly superb and the performance – or should that be performances? – breathtaking in linguistic and ventriloquistic dexterity. Providing much food for thought, Duality takes the ancient art of ventriloquism up several notches. Absolute genius. Pleasance Courtyard, 556 6550, until 30 Aug, 7pm, £13–£15 (£12–£14). The world's dark master of ventriloquy returns! Following his total sell-out in 2005, Strassman hilariously reinvents the art of ventriloquism in this world premiere event. Teetering on the edge of psychosis, he battles his alter ego for sanity, finally crossing to the dark side with his compelling psychological comedy.